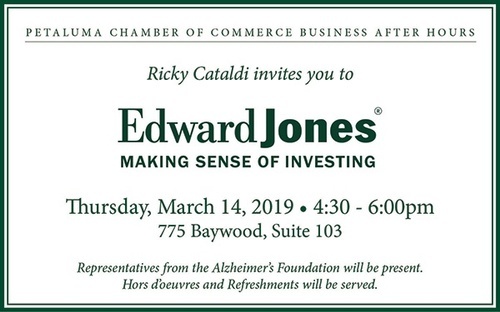 Financial Advisor Ricky Cataldi invites you to Edward Jones for a Business After Hours event. Representatives from the Alzheimer's Foundation will be present. Hors d'oeuvres and refreshments will be served.